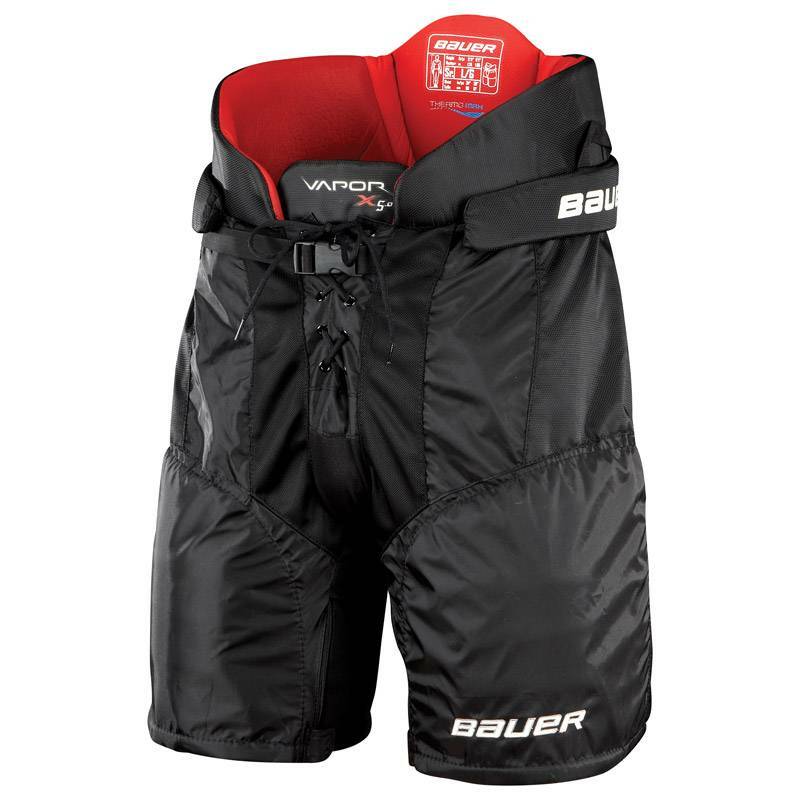 The Bauer Vapor X 5.0 Ice Hockey Pants offer excellent protection at an affordable price ideal for intermediate level play. 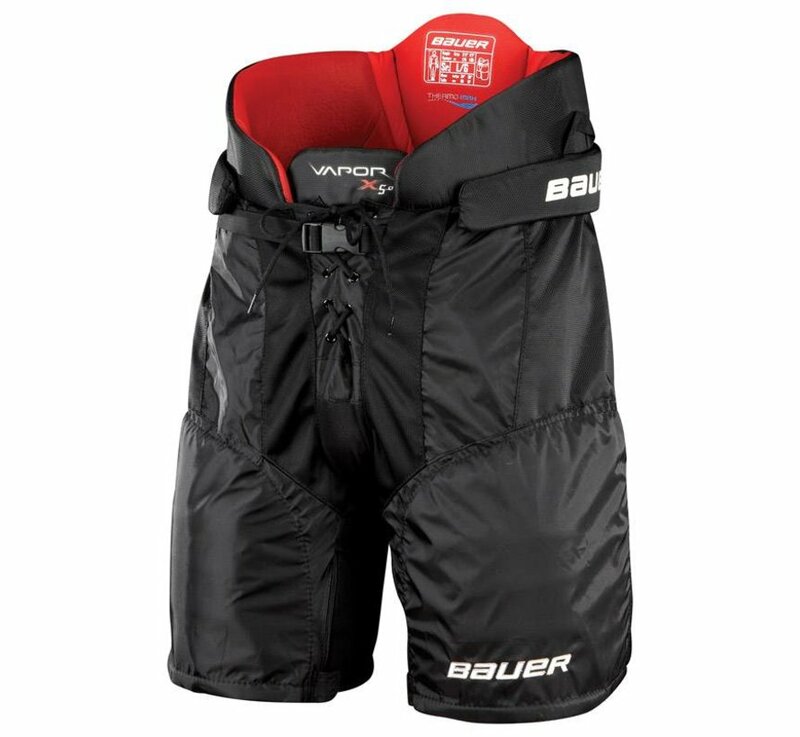 The X 5.0 pant features an Ergonomic poly insert design to increase protection against blocked shots and slashes where you need it most. The Abrasion-resistant hip overlay helps keep the pad durable adds protection and it has ventilated front mesh to increase airflow to help regulate body temperature. The padded belt with the Nylon belt buckle closure keeps the pant in proper position to increase protection.